Unfortunately for many of us, living a sedentary, couch-potato lifestyle has become the American Way. But like so many of America’s lifestyle choices, it is a dangerous one. The fact is, physical inactivity puts a person at the same risk of developing atherosclerosis as having diabetes does. In my book, Prevent a Second Heart Attack, I describe how incorporating a daily walk into your routine is key to a healthy heart. After all, imagine a medication that could lower your blood pressure, raise your HDL cholesterol, prevent diabetes, increase your blood vessels’ production of nitric oxide, boost your energy, help you to lose body fat, and make you feel blessed to be alive. Did you know this medicine already exists, and is free of charge? It’s called walking! The benefits of starting and sticking with a regular program of walking – which honestly requires only modest effort – is nothing short of remarkable. Regular exercise develops an extra network of blood vessels around blocked arteries called “collaterals” so that the heart muscles can benefit from increased blood flow. • Walking raises your “good” HDL level. High-density lipoproteins are often referred to as HDL, or “good” cholesterol. They act as cholesterol scavengers, tracking down excess cholesterol in your blood and taking it back to your liver where it’s broken down. • Walking soothes inflammation and improves endothelial function. Chronic inflammation and endothelial dysfunction work together to create plaque vulnerability. Exercise is the best method for treating both of these conditions. • Walking decreases inflammation. Inflammation is deeply involved in creating and destabilizing the plaque that invades your heart’s blood vessel walls. Stop this inflammation in its tracks, and you take a major step in fighting heart disease. Mounting scientific evidence shows that regular exercise acts like cortisone for the arteries—putting out the arterial flames. • Walking for exercise can prevent or reverse metabolic syndrome. Metabolic syndrome is often a forerunner to developing Type 2 diabetes and is a major contributor to the buildup of plaque in your arteries. Regular aerobic exercise like walking can favorably impact all of the components of metabolic syndrome by improving your blood sugar levels. • Regular walking helps control blood sugar levels. Regular activity is especially helpful for managing your blood sugar, as it increases your muscles’ sensitivity to insulin. • Walking for exercise relaxes your arteries, calms your nerves and lowers your blood pressure. Lower blood pressure means a reduced risk of heart attack or stroke. • Walking helps you to lose weight. Attaining a healthy body weight – and losing body fat (especially artery-clogging belly fat) will greatly contribute to the prevention, treatment or even reversal of heart disease. In addition to taking a daily walk, you may want to consider adding a strength training regimen. 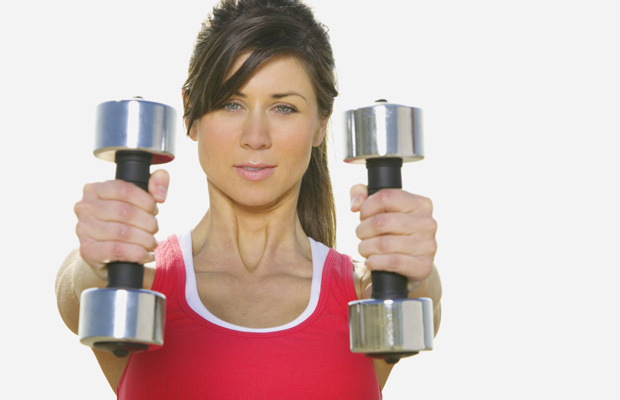 Doing so can safely and effectively increase your muscle strength and overall endurance. Strength training exercises also greatly benefit heart patients by favorably affecting heart function, modifying risk factors, improving psychological well-being, and enhancing one’s quality of life. Rather than dive into a program on your own, I recommend you learn how to do strength training exercises under the careful supervision of a certified personal trainer or physical therapist experienced in cardiac rehabilitation. One important caveat: When it comes to exercise, you should talk with your personal physician to find out whether exercise is suitable for your particular circumstances. Also, if you have been sedentary for an extended period of time, you should begin an exercise program gradually while under your physician’s supervision. Make walking a priority in your life, as if it were medicine you needed to take daily. If you look at exercise in a positive light, and see it as the best medicine for promoting healing, enhancing your joie de vivre, and especially for doing away with harmful plaque-promoting stress, then you will be more likely to embrace walking for the long term. 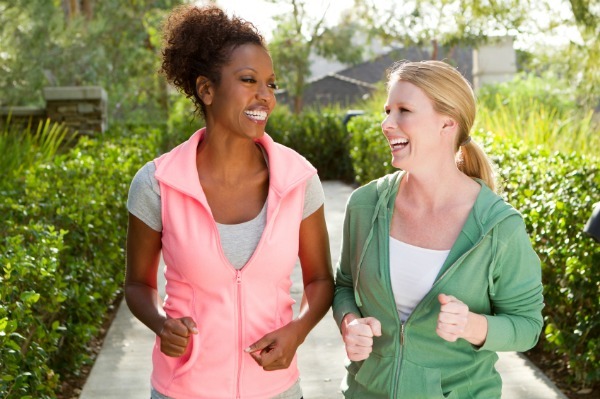 Start out slow, maybe with an easy walk around the block, and build up your endurance over time to your goal distance. Set a goal; choose a target distance; plan to walk that distance and back, each and every day. Wear the approriate clothes and the correct shoes. Don’t forget to hydrate well before and after you walk, and remember to protect yourself against the weather. Walk with a friend or your dog if you prefer company; this may actually make walking more enjoyable for you. Purchase a portable music player and listen to your favorite songs while walking off your stress. On bad weather days, walk indoors on a treadmill. Place it in front of the television and walk the pounds off while watching your favorite show. Consider hiring a personal trainer. If you are paying for strength training you are probably more likely to stick with it. Getting started with a walking routine is easier than most people realize, and the benefits to your heart health and overall wellness will pay dividends for a long time to come! Janet Brill, Ph.D., R.D., LDN, is a leading diet, nutrition, and fitness expert specializing in cardiovascular disease prevention. She is the author of Cholesterol Down: 10 Simple Steps to Lower Your Cholesterol in 4 Weeks – Without Prescription Drugs (Three Rivers Press, 2006), and Prevent a Second Heart Attack: 8 foods, 8 Weeks to Reverse Heart Disease (Three Rivers Press, Feb. 2011). To learn more about Dr. Janet, get delicious heart-healthy recipes, or buy her books, please visit DrJanet.com or PreventaSecondHeartAttack.com. Vegetables: More Colors for Better Health! The key to losing weight is reducing your calorie intake. You don’t have to give up your favorite foods, just eat less of them!